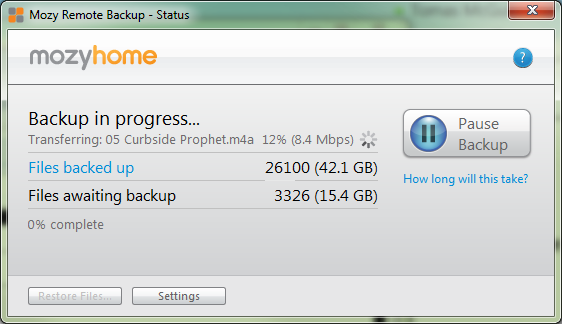 Mozy Backup is just soooooo fast! ← A Backup! A Backup! My kingdom for a backup! Service, that is. I hope when you signed up, you used a Mozy promotional code to save 15%! I didn’t use a promotional code unfortunately! It’s pretty cheap though, in comparison to other providers. Ouch. I haven’t gotten anything like that from them. Not to my knowledge anyway. I’ve just got over 150Gb saved with them, chose them because they are so fast. Plenty of other better solutions, but the backup speeds are just too slow.